Accessibility. It’s on everyone’s minds these days and it is at the forefront of Classic Displays product development. Over the last year we have spent a lot of time focusing on accessibility. With the Accessibility for Ontarians with Disabilities Act (AODA) gaining traction and a number of compliancy deadlines lined up for the coming years we wanted to ensure we understood the act, how it would affect our customers and what we could do to help them become compliant. A few years ago we began looking at the ergonomics of standard park benches and how they could be improved upon and in 2009 we introduced our first ergonomically correct bench, the Ergo. Since then we have continued to add to what is now our line of accessible benches, this past year focusing on our standard line of benches and how we could modify them to make them accessible. One of the standards set in the AODA is for the design of public spaces, which as it currently stands, requires outdoor public eating areas to have a minimum of 20% of the tables be wheelchair accessible. While we agree that wheelchair accessible tables should be mandatory we don’t think it should stop there. We also encourage our customer’s to consider adding accessible benches to their public spaces as well. Fortunately, we are not the only ones that understand the importance of accessibility in public spaces and see the benefits. We have been working with the City of London for a number of years and manufacture the specified bench for their parks. 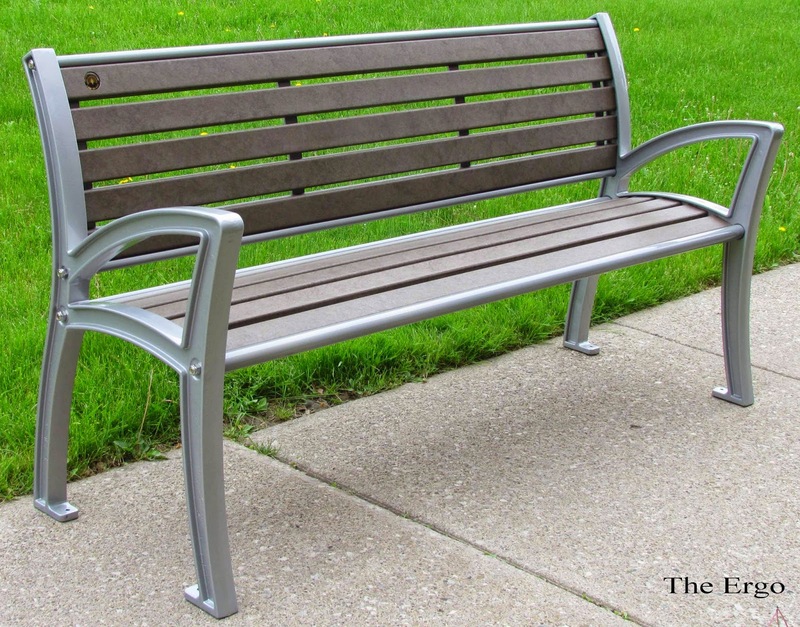 In 2014 the city ordered 25 Accessible Riverside benches and will continue to order them on an as needed basis. 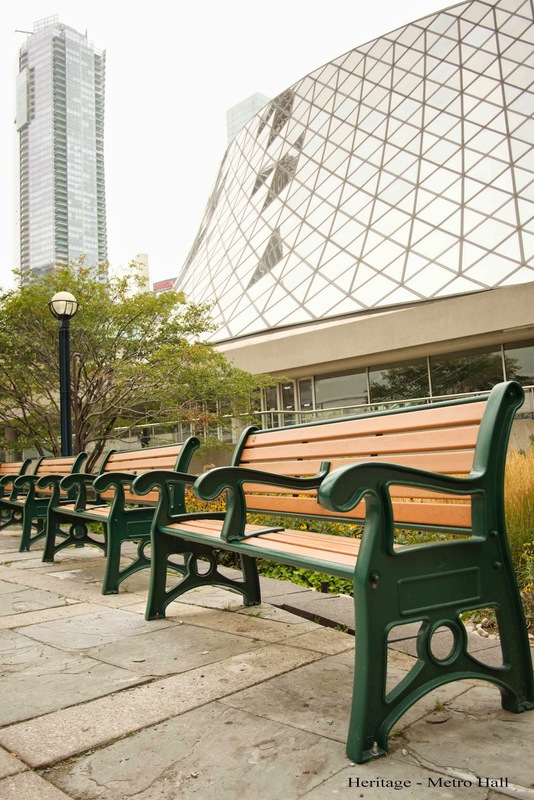 Another City that has begun to embrace our accessible line of benches is the City of Toronto. Our standard Riverside bench has been the specified bench for the City for a couple of years now and it was the standard Riverside that we made some modifications to in order to make it accessible. This accessible version of the Riverside has begun to pop up alongside standard Riversides in various parks within the city. 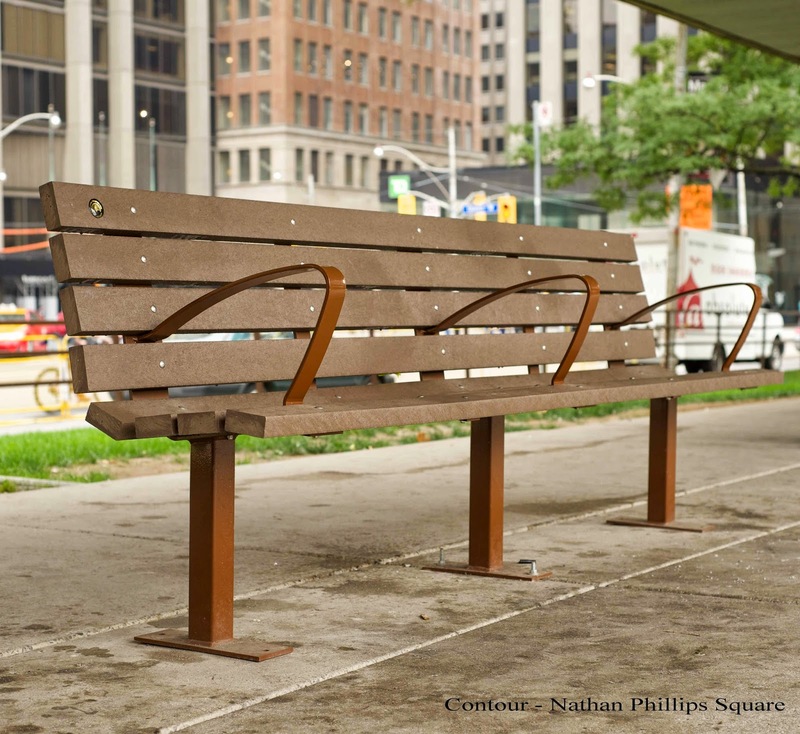 Other benches from the accessible line can also be found throughout the city, a number of Heritage benches sit outside of Metro Hall and Contour benches can be found in Nathan Phillips Square. To date the city has ordered 40 Accessible Riverside benches and over 50 other Accessible models. The City of Hamilton is currently working on a multiyear revitalization project of Gore Park. Another city we often work with, Hamilton took an early interest in the Heritage bench when it was first introduced to our product line. That bench has since become specified in the revitalization project. They have also begun to introduce our Accessible Riverside line as well and to date, 23 benches have been purchased with more orders to come as the projects continue. As accessibility continues to be our main focus in 2015, we look forward to continuing to work with the cities of London, Toronto, and Hamilton and we encourage other cities and towns to look to them as examples of how to start incorporating Accessible site furniture in outdoor public spaces.